“Keep Austin Weird” has become a rallying cry that has come to symbolize maintaining the unique (and non cookie cutter) character of the city by supporting local businesses, culture, and the arts. One of our favorite “weird” things about Austin is the numerous iconic murals around town that make the Austin a cool place to live. 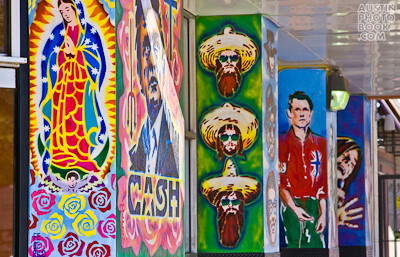 Austin’s decorative murals, shown here using photos from the book Austin, Texas: A Photographic Portrait, make a great backdrop for a photo and will bring a smile to your face whether you are visiting Austin for the first time (maybe you are here for SXSW 2011 or Austin City Limits) or if you are an Austinite down to your core. If you only have time to check out one mural in Austin, the Austintatious Mural in the Renaissance Market is the one to see. Painted by 3 friends known as the Austintatious Artists, this massive mural comically depicts both the landmarks of downtown Austin on one side of the square, and on the other, the entire state of Texas. At Renaissance Market you can buy all sorts of hand crafts and jewelry, and with the student oriented Drag shopping strip around it and the Univerity of Texas directly across from it, there’s plenty to do when visiting this mural. Just 1 block over from the Austintatious Mural, the corner of 24th and Guadalupe is home to 2 beautiful murals, one gigantic movie themed mural on the old Intellectual Property / Tower Records building and a dreamlike warped mural on the side of the Wells Fargo Bank (former GAP building). At the street level of the old Tower Records building you will find many stencil based pieces featuring famous rock stars by the prolific Austin artist Federico Archuleta. The iconic Hi How are You? Frog might as well be the poster child for Austin weirdness. 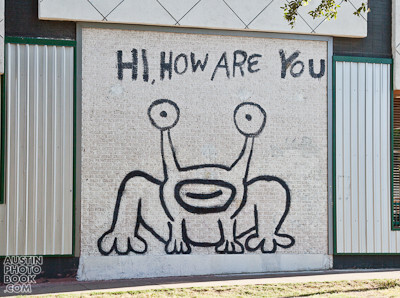 Painted in 1993 by musician Daniel Johnston, the Frog has been a fixture on the Drag ever since, surviving building remodels and the occasional prankster vandalism. The Frog has spawned an entire industry around it – you can buy a T-shirt with the picture of the frog at Storyville on South Congress and the iconic amphibious street art has even inspired an iPhone game it featuring music by Daniel Johnston. Located on the side of the Roadhouse Relics building on South 1st street and Annie, this iconic, vintage looking Austin mural is a great tourist photo opp or an engagement photo shoot favorite. Once you’re done taking a few snapshots here, head over to the nearby Trailer Park Eatery, where you can enjoy a Torchy’s taco or two. The South First neighborhoods around the mural are also great to take a stroll around. Rhapsody, the huge, colorful mosaic mural in East Austin by artist John Yancey is on the southwest corner of East 11th Street and Waller. 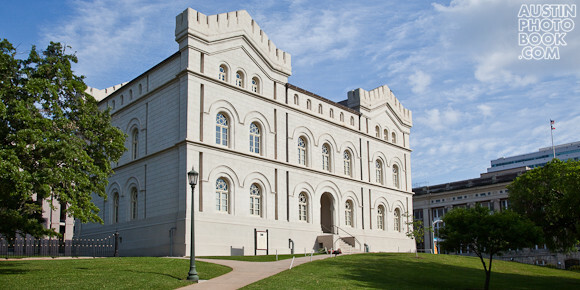 Yancey, an associate chairman and professor of art at the University of Texas, designed the mural to reflect East Austin’s rich African American history. On 6th street near San Jacinto, this mural seemingly popped out of nowhere one day in 2009. 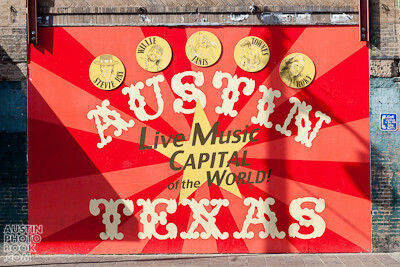 It covers up the site of the burned down Black Cat Lounge and is a welcome addition to 6th street and the music scene it gives a home to, that earned Austin the title of “Live Music Capital of the World”. 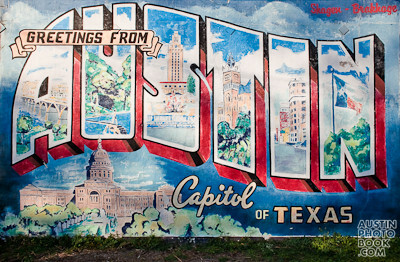 Austin music legends featured in the mural include: Stevie Ray Vaughan, Willie Nelson, Janis Joplin, Townes Van Zandt, and Roky Erickson. South Congress is come to numerous murals and graffiti pieces, some done by notable artists like Shepard Fairey, who designed the Obama “Hope” poster. You can find many murals on the walls of stores and in back alleys (the Fairey piece is behind Home Slice). The particular mural is by Fredrico Archuleta and features the same mural of Mary, mother of Jesus that appeared on the Drag – it’s located across from Guero’s on South Congress and Elizabeth. This colorful and huge mural entitled “Sesquicentennial” was created by John Fisher. 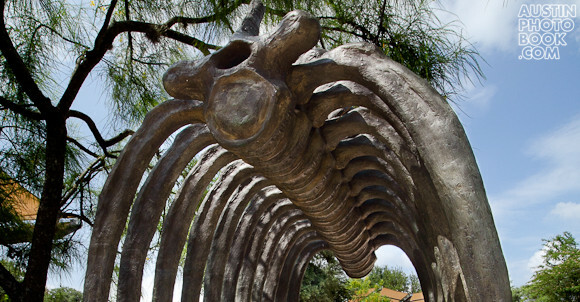 It depicts the hardships of slaves during middle passage and is located at the George Washington Carver Center in East Austin at Angelina St and Rosewood Ave. Originally created in 1986, the mural was restored last in 1999. 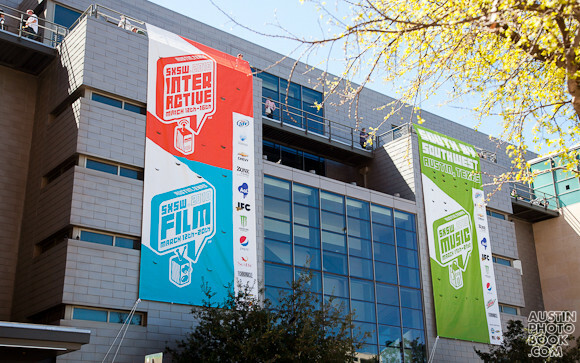 South by Southwest 2011 is fast approaching and an estimated 36,000 visitors will soon descend on Austin for the SXSW interactive, music and film conferences. During SXSW, the movers and shakers in their respective industries come to Austin to learn about new industry trends, discover new ideas and talent, and network with people from all around the world. Speaking of networking, Peter Tsai, the photographer of Austin, Texas: A Photographic Portrait will be at SXSWi this year! If you are attending SXSWi 2011, make sure to follow him on Twitter at @AustinPhotoBook or at his personal account at @supertsai. Don’t have a badge for SXSW this year? 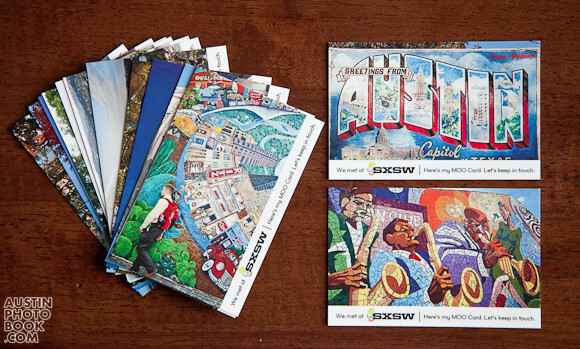 No worries – there’s many ways to participate in the SXSW even without a badge. Websites like Republic of Austin and SXSW Free Noms will show you where to get your party on for free! Why are there so many free parties in Austin during SXSW? 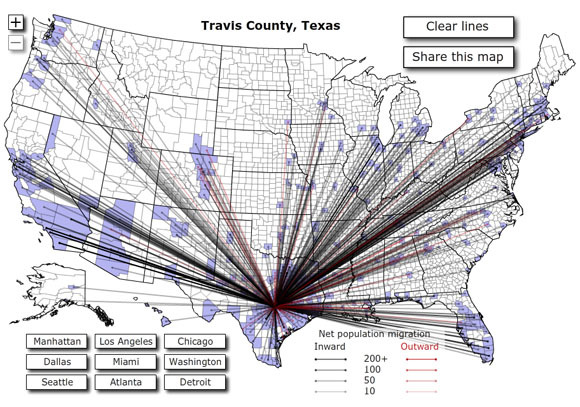 I’m not sure, but it’s just one more reason why Austin is an awesome place to live.